God of our planet, forestall and forgive! Despite a stretched single income when our children were young we travelled a lot in Northern Ontario where I served an active urban congregation. We car-camped when they were quite young and canoe-tripped into some surprisingly remote spots (in retrospect) when they got a bit older. We also did VW Vanagon trips to Atlantic Canada twice, camping all the way. I'm delighted that all three, now in their thirties, have fond memories of those forays and love the natural world themselves. The two with children make getting outside a regular part of family life. 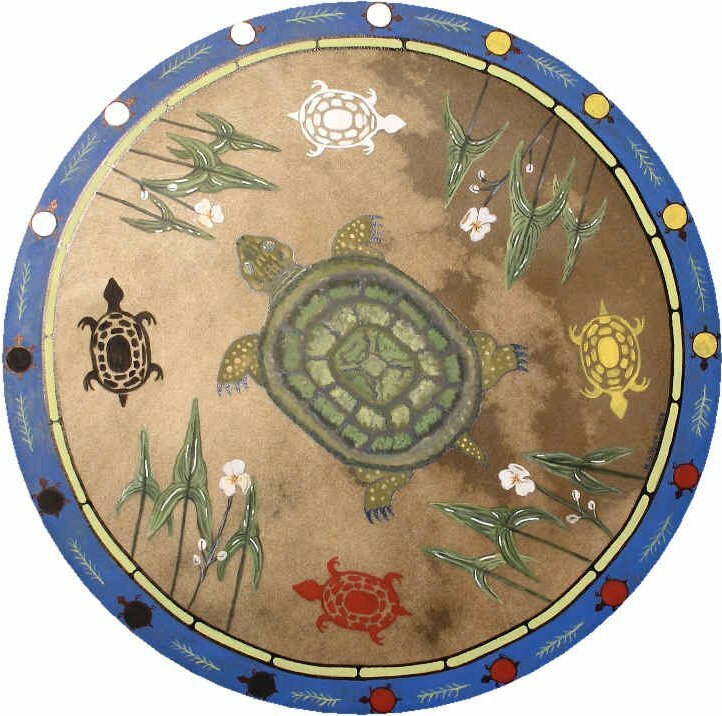 There are times when I teeter on despair for the damage we are doing to Planet Earth -- Turtle Island to our Aboriginal brothers and sisters. Yet I want a world in which our grandchildren will thrive and be able to delight in the beauty of all that God has made. 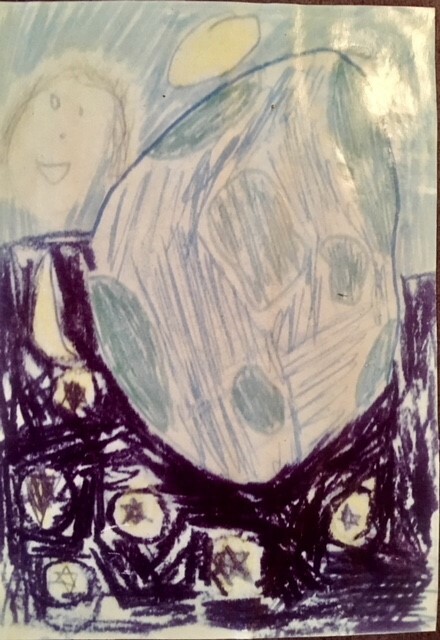 When our daughter Jocelyn was a child she created the image above of a happy, female figure in the background of a planet. We figured that this was a feminine Creator smiling upon the goodness of Creation. Joc is the mother of an infant daughter herself now and we pray that we will all make the decisions as a species which will allow the planet and this wee bright soul to flourish. Oh yes. Ruth and I will be out on a river in our canoe today. Maybe we'll see some turtles. You're never too old for wonder as people of the Creator. regeneration that peace will complete. using us gently and making us one.